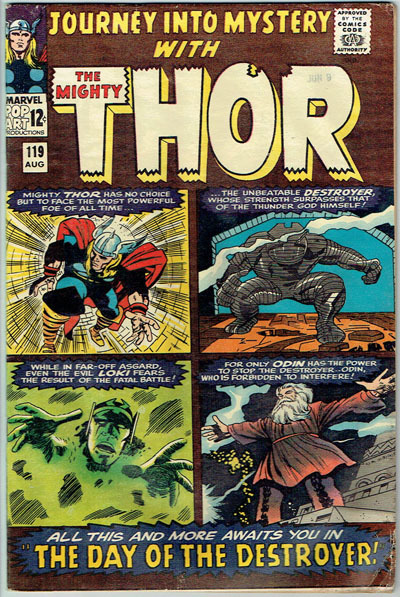 1st appearance of Volstagg Fandral and Hogun. Good amount of staining with light mold. 2 1/2 inch crease BC.